Find out more about the oceanography and morphology of Maui Bay. This page has baseline information on the oceanography of the fringing reef and the beach fronting the shoreline in Maui Bay, on the Coral Coast of Fiji. This information is critical to better understand the role of waves in coastal hazards (erosion and inundation) in the Pacific. The Coral Coast is an area south of Viti Levu with a fringing reef system 400 – 800m wide interrupted by narrow passages. Maui Bay is the name of a development area located between the village of Tagaqe to the West and Votua-o-lailai to the East. 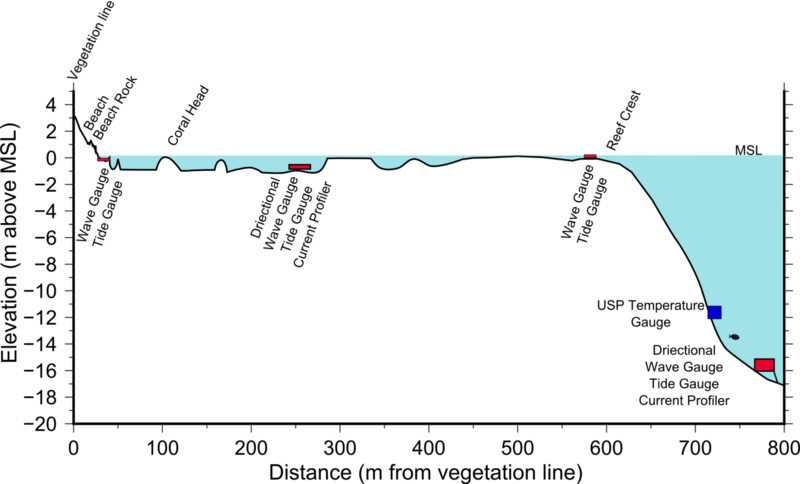 The field site corresponds to a 1,600m long shoreline from the Maui Bay jetty in the East to the Tagaqe passage in the West. 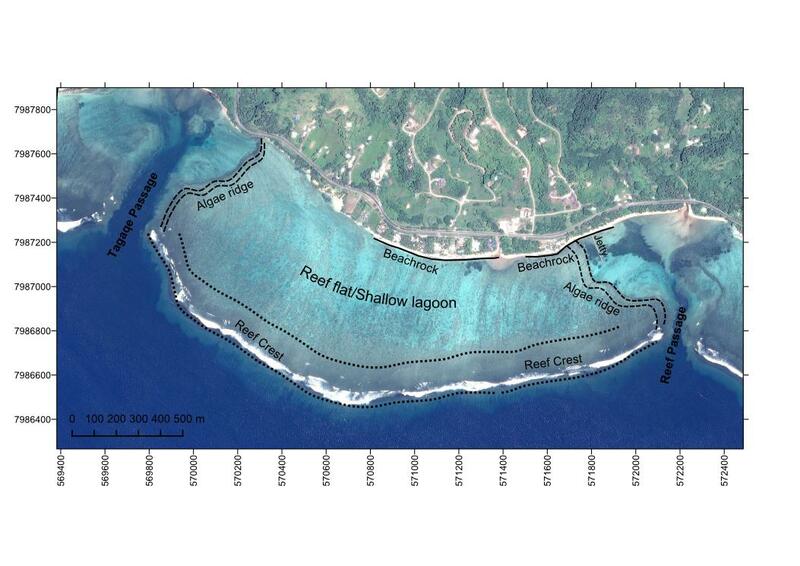 Maui Bay field site is fronted by a fringing reef approx. 650m wide. The reef is bounded by a narrow passage (40m wide) to the east and the much wider Tagage passage (150m) to the west. 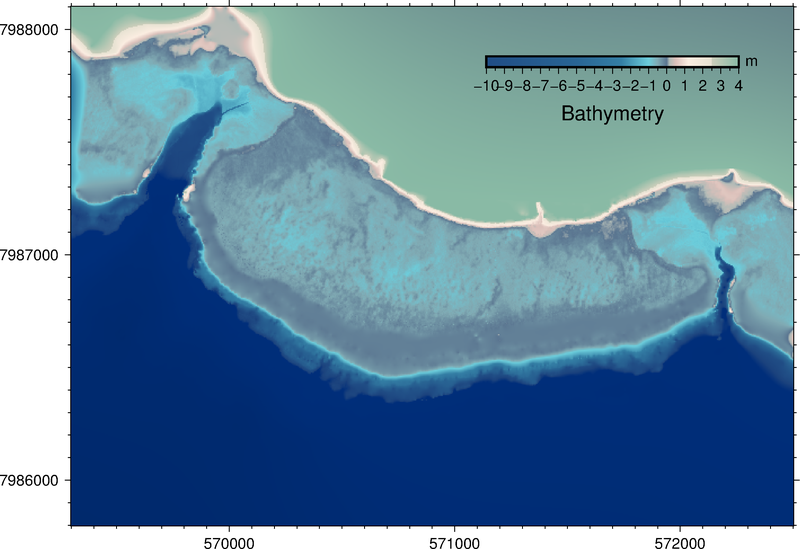 The lagoon area of the fringing reef is relatively shallow (less than 1.5m deep) and is bounded east and west by a shallow algal ridge effectively forming a closed basin covering an area of 1.4km2. The interior of the Lagoon is covered with an alternation between coral patches reaching close to mean sea level in elevation and sandy patch. Seagrass is present in the area but not extensively. The coral patches tend to be more common towards the reef crest and less towards the shore. A series of instruments were deployed in Maui Bay between January 2013 and November 2014 with the aim of measuring the local waves, currents, water level and water temperature across the reef from the offshore reef slope to the shore. 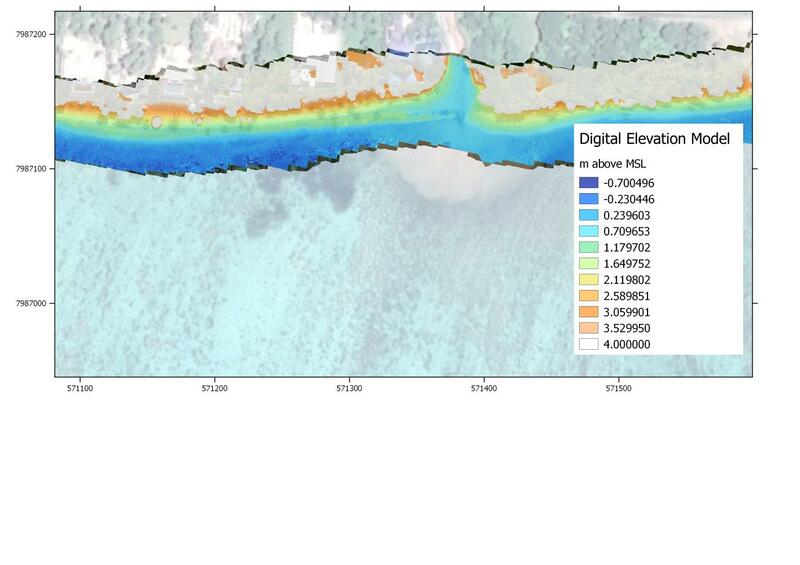 Also a detailed investigation of the bathymetry and topography of the field was undertaken to collect suitable data for coastal inundation modelling. 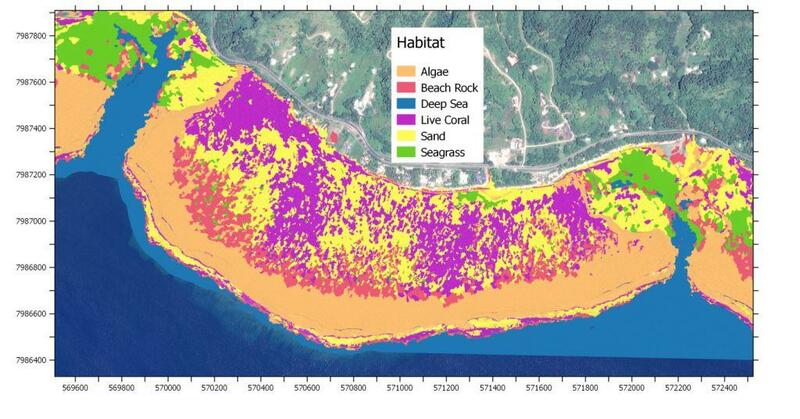 Below are the outputs of the study in Maui Bay. The beach rock formation fronting the shore in Maui Bay shows well preserved Giant Clam shells (Tridacna sp.). Two well preserved specimens were collected in May 2015 from within the top section of the beachrock for carbon dating. The preparation of the sample, dating and calibration was then completed at the Institute for Geology and Mineralogy of the University of Cologne following methods of Rethemeyer et al. (2013), Reimer et al. (2014) and Ramsey (2013). Results show a calibrated age of 2988—3380 BP.See the results in the table below.